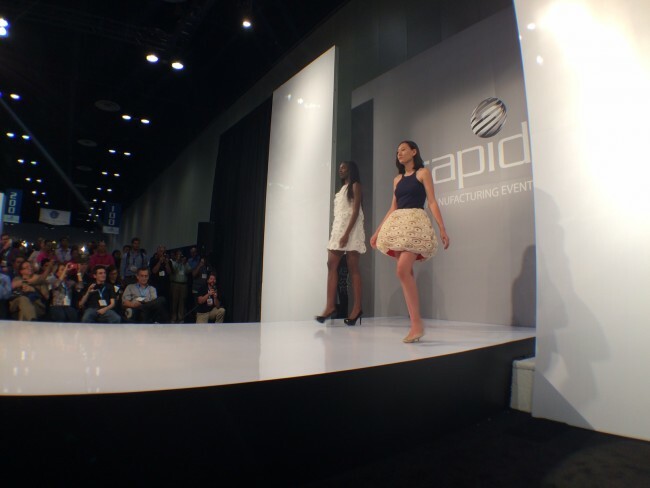 The recap of RAPID 2016 edition. There is a fair amount of cool behind RAPID. Not only, all the biggest 3D printers manufacturers are there to display their machines (from plastic to metal 3D printing), but the most influential persons in the industry are also heading there. The 2016 edition isn’t any different and holds its promises with just as many great announcements. For this edition, Sculpteo was also the sponsor of the catwalk show that just happened this afternoon and where talented designers like Danit Peleg or Rachel Nhan displayed all their savoir-faire. Here is a sneak peek at what you missed. 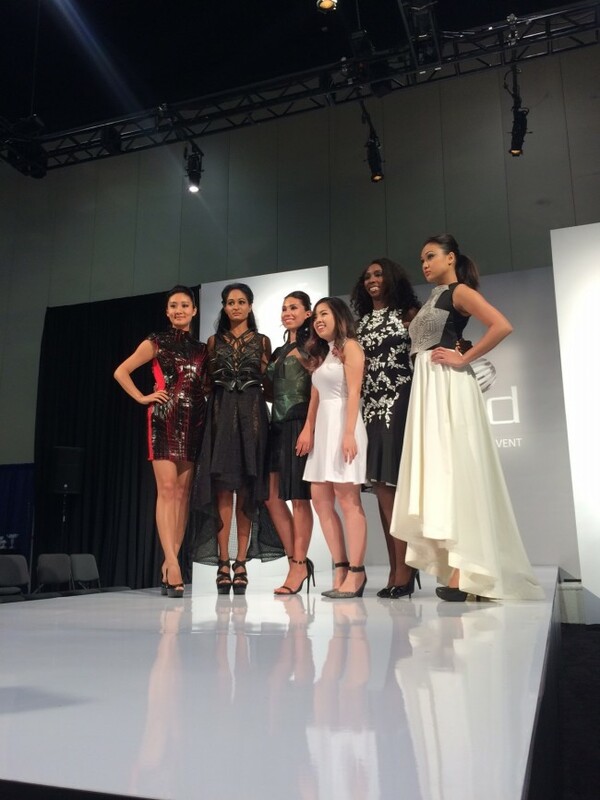 Since the presentation of the 3D printed Virus Collection at CES 2016, our fashion items have travelled back on forth to the US and to France for several shows. 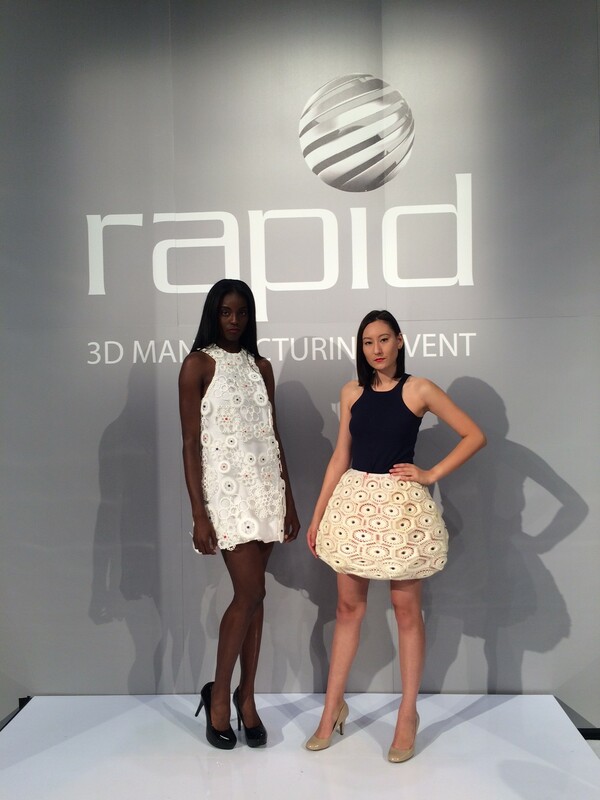 This evening it was great to see Anastasia Ruiz’s collection next to the most famous names in the 3D printing fashion industry at RAPID.Indeed, Rachel Nhan, Sabina Saga, Danit Peleg and Anouk Wipprecht also showcased their collection this evening. The event started around 4:45pm with a short presentation from Debbie Holton, Events & Industry Strategy at SME, and Jess Hedstrom, our Community Manager to introduce the different designers and what guests were about to see. And it begins. 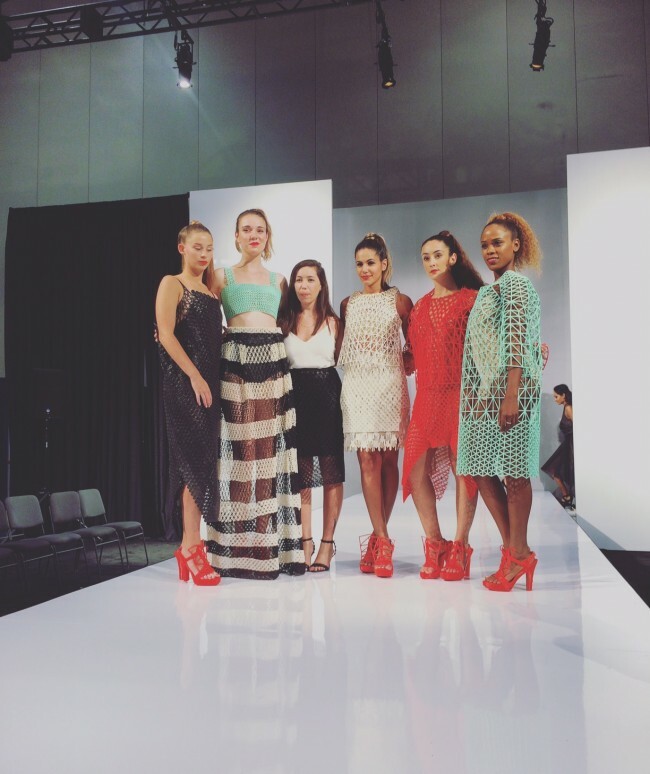 First on the catwalk show, the Virus Collection from Anastasia Ruiz and 3D printed by Sculpteo. 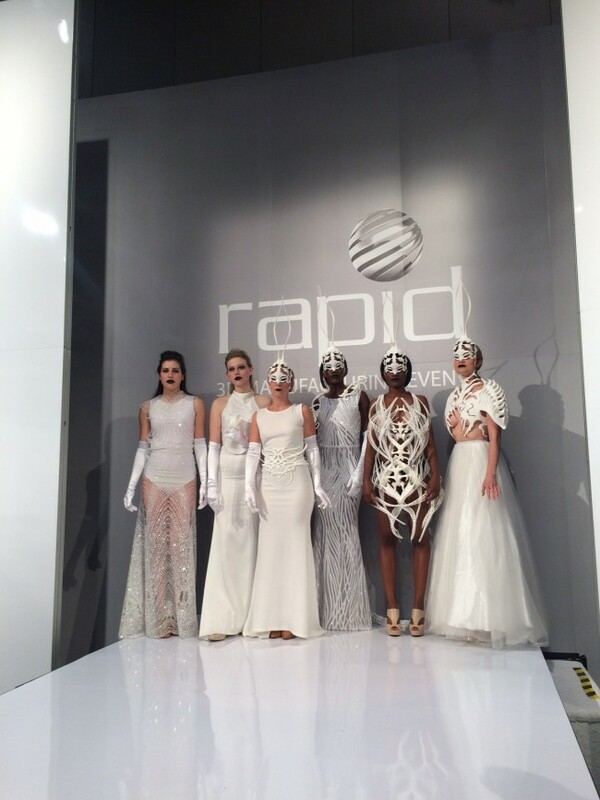 For those of you who missed Danit Peleg‘s collection last year, RAPID was a good opportunity to catch up and actually see the collection being worn. Both the exhibitors and the attendees came to the show to make sure they didn’t miss that. After the show, we had a few more minutes to take a shot with Danit Peleg and her models. Closer to Anastasia Ruiz’s approach that blends fabric and 3D printed parts, Rachel Nhan’s collection is as impressive as Danit’s one. It features very large 3D printed sections that have been added to a regular fabric in order to create fashion items that are truly impressive. It’s really hard to stay indifferent in front of Sabina Saga’s collection. 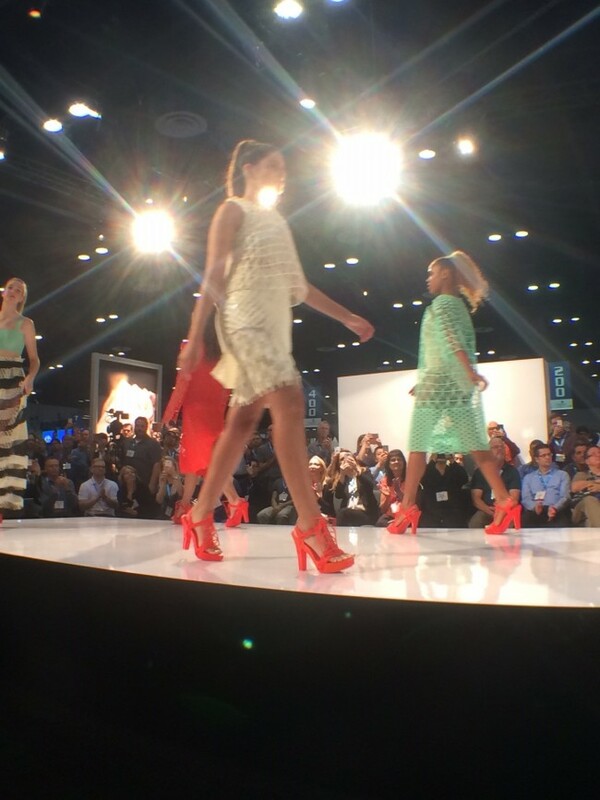 Exclusively white, her collection is also a mix of regular fabric and 3D printed parts. Based on very organic shapes that are really close to the body, it seems to be both an experiment that comes right from the future and at the same time, it fully takes advantages of the different design possibilities offered by 3D printing. 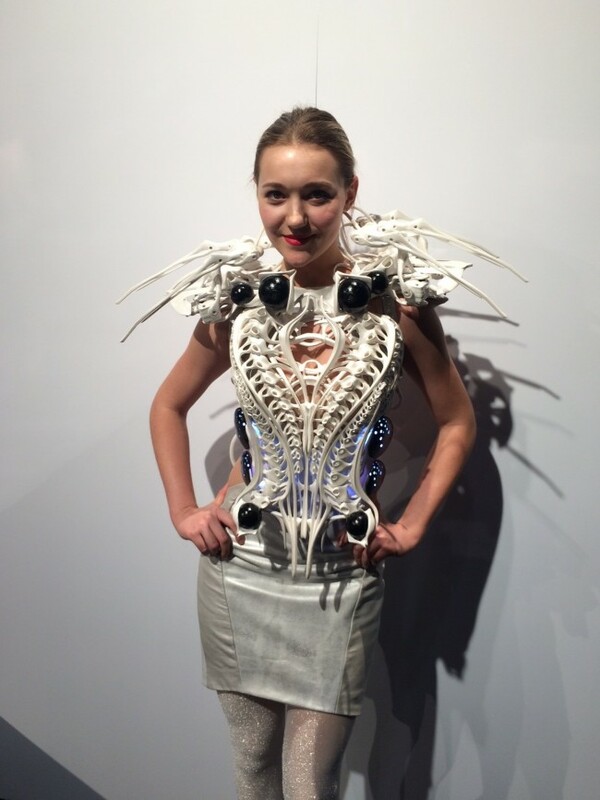 Not presented directly on the catwalk, the 3D printed fashion from Anouk Wipprecht is nonetheless very impressive. It integrated fabric, sensors, electronics and 3D printed parts. Around us, everybody was simply amazed by this fashion item as it moves when you interact with it. The different sensors located next to the shoulders are modifying the position of the different parts.